“Oh, don’t worry about that.” She waved an impatient hand at him. 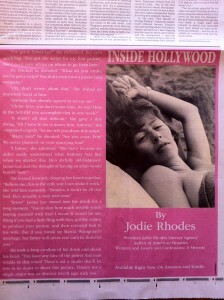 The characters in this thrilling excerpt from “Inside Hollywood” don’t talk. They exclaim, they shout, they admit and they continue eagerly. My favorite line, though, has to be the one about the impatient hand. The heroine doesn’t wave impatiently, she waves her hand, which is impatient. The ad not only showcases her bad writing, but it also casts doubt on her judgment as a literary agent (she’s the president of the Jodie Rhodes Literary Agency, as she mentions on the cover of her book). If this excerpt is her idea of great writing, and this advertisement is her notion of a brilliant marketing campaign, can you imagine the kind of advice that she gives her clients? What’s even more shocking is that she’s also a former advertising executive…and yet produced an ad as ugly, ineffective, and outright embarrassing as this one. This cringe-inducing ad should be given to every aspiring writer as an example of what not to do when trying to sell your book to Hollywood, publishers or readers. Joel Goldman and Ed Gorman are two of my favorite authors…and two of my favorite people. They’ve both inspired, entertained, and educated me so much over the years. And now, coincidentally, they’ve both given lengthy interviews this week about their careers, their approaches to their craft, and how they have coped with life-changing illnesses while continuing to write great novels. When he developed a movement disorder that caused him to experience involuntary shakes and spasms several times a day, he wasn’t literally under a spotlight. It only felt that way. But unlike his character Jack Davis, who stubbornly continues fighting crime against his doctor’s recommendations, Goldman turned away from the only career he’d ever imagined. 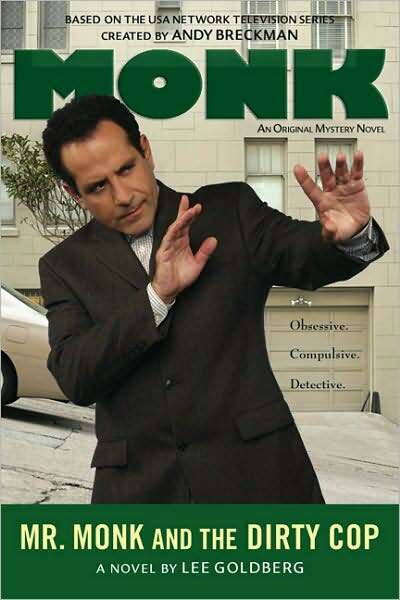 Instead, he became a bestselling crime author. 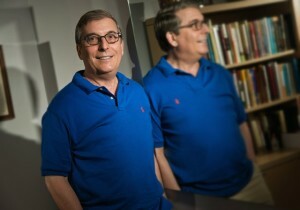 “As crazy as it may sound, I look at this disorder as something that has opened new doors for me,” said Goldman, 60. […]In 2006, when he could no longer hide his periodic shakes at work and his doctors said he could no longer handle the long hours and constant travel of his job, he was determined not to feel sorry about leaving behind the law. Instead, he decided to focus full time on his now quite-successful writing career. 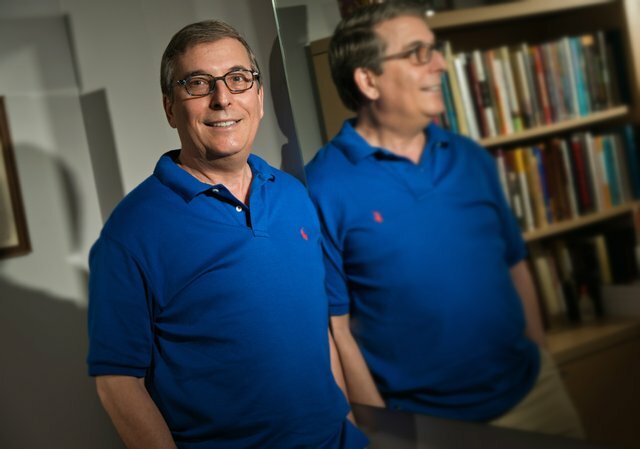 You can hear even more about Joel’s books, his love affair with Kansas City, and his movement disorder in a terrific NPR piece about him that aired last weekend. 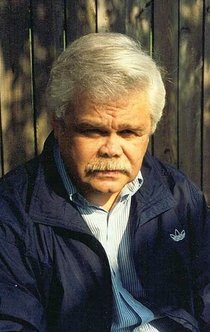 You can read even more of the interview, packed with tons of insightful material about writing, that didn’t make the Kirkus article on J. Kingston Pierce’s The Rap Sheet blog. The healthy attitude Joel and Ed have towards writing in the face of illness may actually be healthy. The Daily Mail reported a couple of days ago that people who write while they are ill recover faster. I’m always getting asked what the correct order is for the 18 (and counting!) 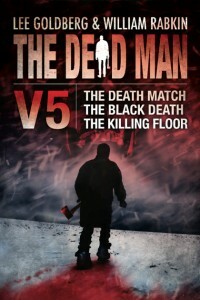 novels in THE DEAD MAN series… so here it is. Matt Cahill was an ordinary man leading a simple life until a shocking accident changed everything. Now he can see a nightmarish netherworld that exists within our own. Now he’s on a dangerous quest for the answers to who he is and what he has become…and engaged in an epic battle to save us, and his soul, from the clutches of pure evil. Bill and I wrote the first and third novellas…but we’ve brought in some of the best writers in the business, from across a wide spectrum of genres, to work with us on the other books in the series. 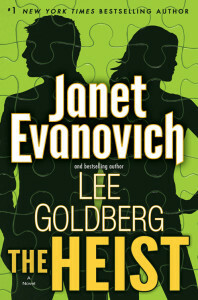 The roster of acclaimed authors includes bestselling thriller writer Joel Goldman, Star Trek Voyager writer/producer Lisa Klink, multiple Edgar-award nominee Christa Faust, legendary western novelist James Reasoner, and Emmy-award winning TV writer-producer Phoef Sutton (Cheers, Boston Legal, etc) to name just a few. 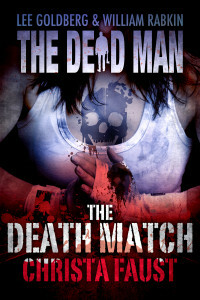 The DEAD MAN books don’t need to be read in order, so don’t let the number of titles intimidate you. The books are available in Kindle, paperbacks, and audiobook editions. 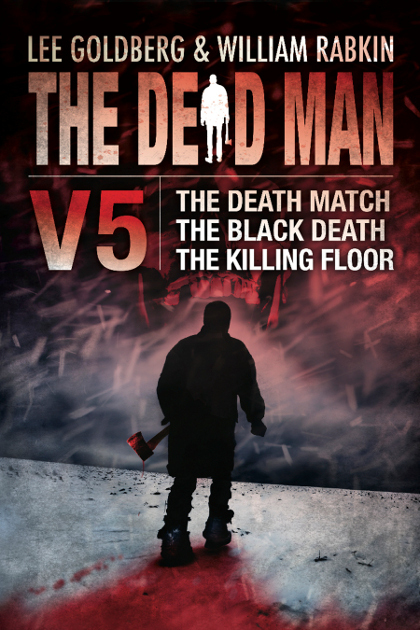 As a special treat, here’s the DEAD MAN theme song by Matt Branham to get you in the mood while you browse the list of titles. Matt Cahill is a widower leading a quiet, solitary life–cutting wood at a lumber mill in the Pacific Northwest, watching out for his trouble-prone friend Andy, and making his first, tentative attempt at a new romance with his co-woker Rachel. But a getaway to a ski resort goes tragically wrong and he is killed in an avalanche. That should be the end of his story, but for Matt, it’s only the beginning. And now finds himself taking the first step in a horrifying odyssey across a dark world that exists within our own, where he must confront Mr. Dark, a violent, supernatural entity that spreads evil among us like a plague. Matt believes a madman may hold the key to defeating Mr. Dark and his rotting touch. 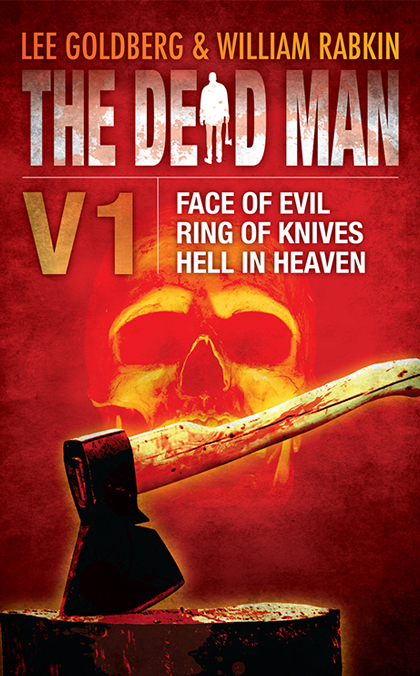 To find him, Matt must infiltrate a lunatic asylum in Ring of Knives—and his only chance of escaping alive is to face the unspeakable terror deep in the asylum’s woods. In search of Mr. Dark, Matt finds himself in Heaven, Washington, a tiny hamlet in the Cascade Mountains embroiled in a four-family blood feud in Hell in Heaven. Only Matt can stop the bloodshed, but even he is going to have a hard time figuring out why Mr. Dark brought him here. A serial killer is stalking Crawford, Tennessee, and Matt is determined to stop the killing. But when his new love interest turns out to have his ability to spot evil, and Mr. 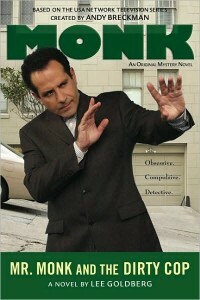 Dark puts his fingerprints on the town’s terror, Matt is going to need help. An archeological dig on a desolate southwestern mesa unleashes an ancient evil spirit whose insatiable hunger traps Matt and a band of innocents. Now, they must find their way out before an epic slaughter turns the peaceful site into the Blood Mesa. Trapped in a Nevada ghost town between its peaceful residents and a marauding band of mercenaries out for the secrets of his immortal blood, Matt must stand side-by-side with the townsfolk. Matt’s search for a paranoid visionary who claims to have defeated a supernatural entity like Mr. Dark leads him deep into the Michigan woods. But when he finds himself trapped in a bloody siege between warring factions, his only hope for escape from an unstoppable advance of mayhem, carnage, and black magic is to trust his instincts, grab his ax, and unleash the ferocity of The Beast Within. Hungry for respite from his solitary mission, Matt takes a gig working security at a traveling carnival. But it doesn’t take long for him to realize that something isn’t quite right. Sure enough, a series of violent events rocks the carnival and a charlatan’s dark prophecies suddenly begin coming true. So when she foresees imminent doom, Matt knows it can only mean one thing: Mr. Dark is here, and it’s not for the cotton candy…it’s to ignite a bloody Carnival of Death. On a quest to find a kidnapped child, Matt discovers an underworld of people with uncanny powers living in the shadows of New York City, trying to elude a ruthless force that’s vowed that the Freaks Must Die. Matt must run a deadly race against time to save the child, and the entire “freak” community, from bloody annihilation. Matt goes to a town where all the cops are corrupt Slaves to Evil, terrorizing everyone and allowing crime to run rampant…but before he can battle them, he’s shot by a gun-toting teenager out to avenge Matt’s killing of her brother. 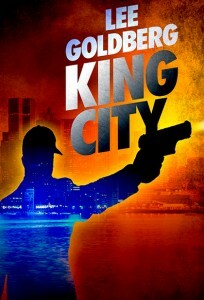 Now Matt is trapped between hordes of deranged, killer cops and an innocent girl hell-bent on revenge. The re-release of a cheesy 1970s zombie flick is sparking horrific bloodshed whenever it’s screened…and Matt Cahill is determined to stop it. His quest takes him to a grindhouse theatre in L.A., where a screening of The Midnight Special begins a night of unmitigated terror that will either put an end to Mr. Dark’s reign of evil…or mark a blood-soaked new beginning. Matt enters the violent world of underground cage fighting where a brutal death match becomes a fight-to-the-undead that could lead him to the truth about his reincarnation…or to a gruesome demise. The Black Death is a deadly new form of crystal meth that turns users into black-eyed, homicidal maniacs. Matt must destroy the virulently addictive drug before the madness spreads from a backwoods community to the entire nation. A hydro-fracking operation resurrects an ancient, terrifying entity that pits Matt against Mr. Dark in an epic battle that began centuries ago and that will end today with the fate of mankind at stake on the blood-soaked dirt of the Killing Floor. On the road to Fargo, North Dakota, Matt Cahill is trapped in a hellacious blizzard on a frozen, traffic-choked interstate. 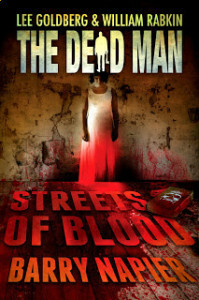 He’s stalked by an escaped murderer and the guards who were transporting him–all of them seemingly possessed by a mutant virus that spreads quickly among the others trapped in their cars, turning everyone into crazed zombies. Matt struggles with a small band of survivors to find the source of the horrific plague before it claims them all. The odds are against any of them surviving the night….and that includes Mr. Dark. Matt Cahill is travelling by bus through the blasted wilderness of the Southwest to prevent a massacre from happening in Nevada, but Mr. Dark is intent on preventing him from making it there. A terrible crash leaves the bus totaled, and now Matt is injured, stranded, and fighting for his life against the elements…and an insidious evil that has spread through the surviving passengers. It’s a race against time, with Matt struggling to overcome his injuries even as he tries to save the survivors from the horror that they’ve become…because, while the evil surrounding him is bad, it’s nothing compared to the desert hell he needs to cross in order to keep a greater nightmare from unfolding—one that could give Mr. Dark terrifying new powers. An elderly, bed-ridden woman in a retirement home is having nightmares of a dark, devilish entity tormenting her and her childhood friends in a dreamscape that’s as familiar to her as it is terrifying. She’s not the only one having the dreams. Matt Cahill is, too, and when he arrives in town, he discovers a community torn apart by gruesome violence, its residents in the grip of an evil force unlike any Matt has encountered before…one that’s even beyond the touch of Mr. Dark. Who Knew I Knew About Content Marketing? 1. Know your target audience – content marketing requires that you understand and know your target audience. Nick and Kate take time to learn all about their target, Derek Griffin. They find out about his interests, his fears, his weaknesses, and his habits. Any good content marketer takes time to learn about his target audience. You can do this through conducting focus groups and demographic studies. Read the book to see what Nick and Kate did to learn about Griffin. You’d do well to use the same diligence. 2. Share the work load – one reason Nick Fox enjoys so much success in pulling off his heists and cons is that he knows how to share the load. Nick has an uncanny knack for finding and enlisting very talented and loyal accomplices. He finds a person to play a specific part in each aspect of the elaborate plan. Each of these recruits is the very best as what he or she does. If you want to achieve success – and achieve it in a big way – with your content marketing efforts, you’ll need to follow Nick’s lead. Assess your contacts and network. Look at the best engagers on your various social media profiles. Many people who regularly engage on Twitter, Google Plus, and Facebook work on a freelance basis. Take your time and find out a little more about them. What makes them good at what they do? Could you use their skills to benefit both your cause and theirs? If so, start courting them and let them know how running with you can benefit them. 3. 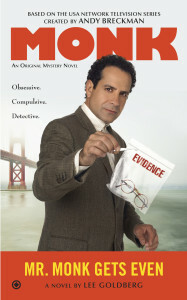 Identify and understand key objectives – obviously, Kate and Nick have a key objective of nabbing Griffin. But to do that, they have to pull the proverbial wool over the eyes of a few other folks first. Each of these smaller objectives represents a critical step that the hottie duo must pull off to achieve their ultimate goal. As a content marketer, you’ve got to outline each of the foundational objectives that will help you achieve your ultimate goal. Figure out how you’ll measure the success of each step along the way. Kate and Nick have it easy for this part. They either pull off each part of the con, or they don’t and they fail. Content marketers must come up with their own metrics for measuring project success. Authors Brett Battles and Robert Gregory Browne have been friends for years. They are among the savviest authors I know and both have enjoyed considerable success and critical acclaim with their thrillers (Rob’s novel KISS HER GOODBYE was even adapted as a pilot for CBS starring Dylan Walsh). Now they have ventured into self-publishing, on their own and in joint ventures, and they are both doing extraordinarily well. They have a new co-authored book out (POE) and two new individual titles (NEGLIGENCE by Rob and THE ENRAGED by Brett), so I thought this was the perfect time to catch up with them. Brett, you are perhaps best known for your QUINN series. Were you worried about your Quinn fans finding your new, self-published books after you left your publisher? B: Honestly, I was more worried about ANYONE finding my new books. I jumped in to this area 2 1/2 years ago, and while there were success stories then, I had no idea if it would even work or, if it did, last. I didn’t start of putting out new Quinn novels though. 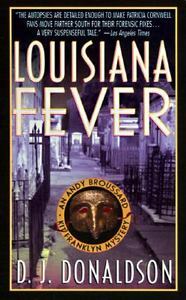 Started with some other, new series I’d been working on, and a couple Quinn short stories. About five months into it, I did put out my Quinn prequel novel, BECOMING QUINN, which really took off and told me the fans were still there. How has your life changed since you made the move? How has it impacted the Quinn series? B: I’m my own boss now, and I prefer that! I actually am a tougher boss than my old publisher as I demand many more finished novels a year than they did. I’ve always been a fast writer, even when I was traditionally published. It’s just then I ended up having a lot of down time because they only wanted one book a year. Now, I write at least four novels a year, and even try to squeeze in a short or two, or even a novella. In other words, I don’t allow myself to just sit around. My business is writing. If I were in construction or clothing or financial advice or whatever I’d be working everyday, so I feel I should be doing that with writing. So that kind of answers your second part. 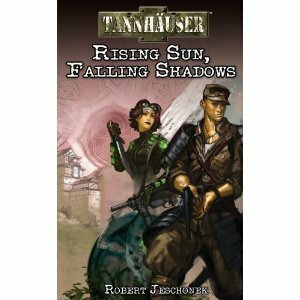 Instead of One Quinn novel a year, in the past 18 months I’ve release 3. More satisfying for the fans as they don’t have to wait as long. Robert, you have been friends with Brett for years. I hear he had to drag you kicking and screaming into self-publishing. R: Ah, yes. When most of my friends were jumping into self-publishing, I had just finished a book for Penguin that was due to come out in hardcover. Plus, I was writing books under a pen name for a traditional publisher. So I was very much part of the “establishment” at the time. I had high hopes for the hardcover, but that was around the time ebooks were having a huge surge in popularity and hardcovers were dying, so the writing was pretty much on the wall. I saw all the success that Brett and others were having with their self-pubbed work and after the hardcover didn’t sell as well as I hoped (no surprise), I decided it was time to take the leap. You had a huge hit with TRIAL JUNKIES. That must have been a stunning, and very welcome, surprise. What was the secret to the successful launch (so we can all steal it for ourselves, ofcourse)? R: Yeah, that came completely out of left field. I had been told that self-publishing is slow going at first, that you have to give it time to build your audience, that not all of your “traditional” readers will embrace the technology, so to see TRIAL JUNKIES suddenly take off right out of the gate was a pretty amazing experience. Two weeks after it was out I had already sold 20,000 copies and it was still going strong. A month later, it was STILL going strong. 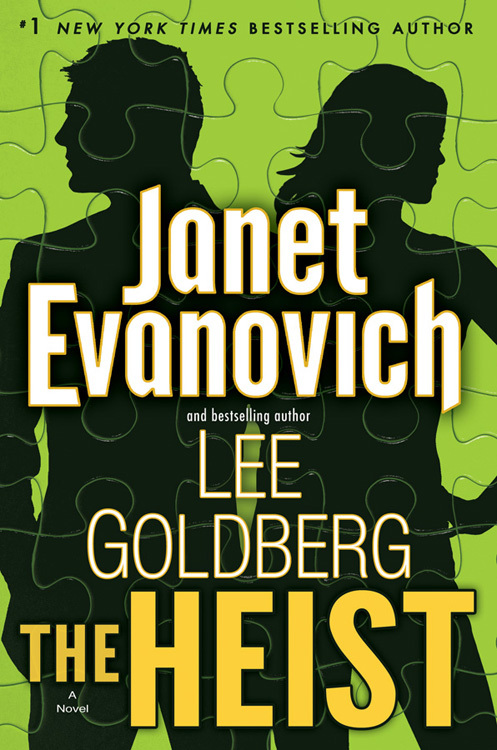 Now, a year later, it just hit the Amazon Top 50 and went to #1 in Legal Thrillers again. It’s the book that won’t quit. As for the secret, there really isn’t one. A week after it was published, I did a three-day free promo, got 46,000 downloads and the bounce when it went back to paid was incredible. You mentioned that TRIAL JUNKIES benefited from the post-free bounce. Do the free promos still have the same mojo? From what I can tell, they don’t. At the time TRIAL JUNKIES was released, I was told that the free promos didn’t work as well as they once did, but it worked wonderfully for that book. But a year later, I think some of the luster has definitely worn off. 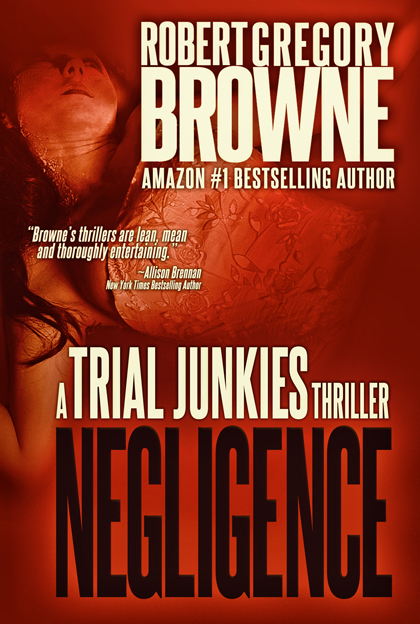 I recently did a 99 cent promo for TRIAL JUNKIES that helped put it back in the Top 50, but as of this writing, I’m not sure what kind of post-sale bounce it will get, or how it will effect the sequel, NEGLIGENCE. I’ve been sticking with KDP Select largely because of the Prime library borrows, which bring me more income than Barnes & Noble or Kobo ever did. I think, however, that we may be getting to the point where we’ll have to be shelling out a little more money for advertising on newsletters like Bookbub, which seem to be very effective. You were leery about self-publishing, Rob…but now you’re into it in a big way. You’re even designing your own covers. What made you decide to take such a hands-on approach? And do you enjoy it? R: Actually, self-publishing was made for someone like me. My pre-author work involved video production and design, so it was only natural for me to utilize those skills. I really enjoy doing covers—I’ve done several for other authors as well—because it’s a different outlet that lets me stretch a another set of creative muscles. 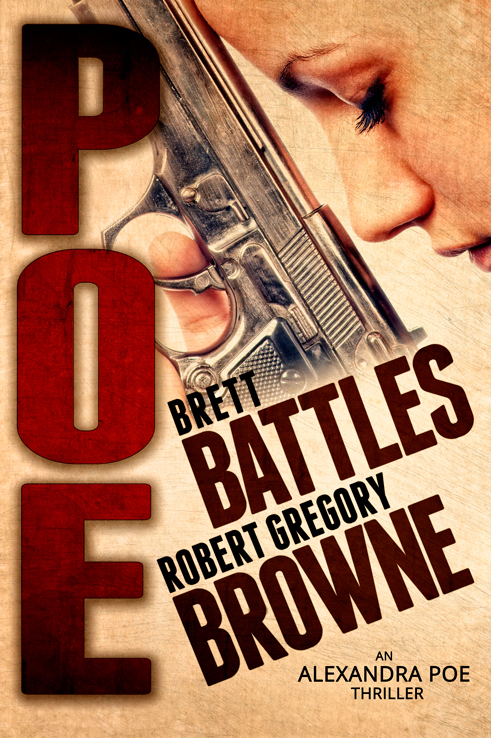 You have both collaborated on a new, original, self-published ebook called POE… how did that come about? And what was it like working together? R: For me it was largely painless. I had come up with the idea for POE several years earlier, but had never gotten around to doing anything other than a short synopsis and a couple chapters. I had pitched the idea to Brett at the time and he always loved it, so when we decided to write something together, he suggested POE and I thought why not? But I was in the middle of another book at the time, so he was the one who sat down and fleshed the idea out, wrote an outline we agreed on, then hammered out the first draft. I came in and did a rewrite, then Brett did the final polish. We spent a lot of time on the phone discussing various scenes and character motivations, but we never had any real disagreements. We also found that our writing styles meshed quite well. B: What Rob said. Painless and fun! Can’t wait until the next one’s underway. How has the book performed? Will there be sequels? R: I’m happy to say that the book has been performing well despite little publicity. I’ll be launching into the first draft of the sequel sometime this month. It seems you both followed up POE almost immediately with new, self-published ebooks. Was that always the master plan behind the timing of the release of POE? Was it intended as a “gateway drug” for draw your audiences to one another’s work? R: Is there supposed to be a master plan? The collaboration was certainly designed to draw in readers from each other’s camp, but the new books were already planned even before we decided to write POE. Brett puts out several books a year and my own personal plan is to catch up to him at some point. B: No master plan. Just put out the books when they’re ready. Are there more collaborations on tap? R: Well, there’s the new POE, which should be out in time for Christmas, and there’s another idea of mine we’ve considered working on called LINGER, but finding time to get it fleshed out and written is a problem with our busy schedules. B: LINGER is going to be great when we finally get to it! Can’t wait. Tell us more about your new books. 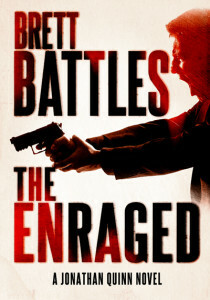 B: My latest is Quinn #7, called THE ENRAGED. It picks right up where the last book, THE COLLECTED, left off. There was a bit of a cliff hanger at the end of that. 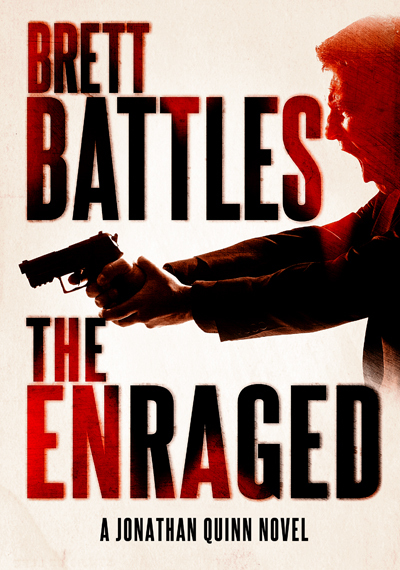 In THE ENRAGED, Quinn sets out to deal with those responsible for what happened in THE COLLECTED. It’s rocket fast, exciting, and, hopefully, utterly satisfying. 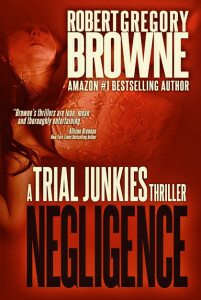 R: My book NEGLIGENCE is a sequel to TRIAL JUNKIES. Hutch and his old college friends—who spend a lot of time watching trials at a Chicago courthouse—find themselves embroiled in a case involving the murder of a school girl that leads them to an exclusive preparatory academy that could very well be housing a killer. It’s got a few shocks for fans of TRIAL JUNKIES, but I think they’ll be pleased.